This is Roo (short for Kangaroo). 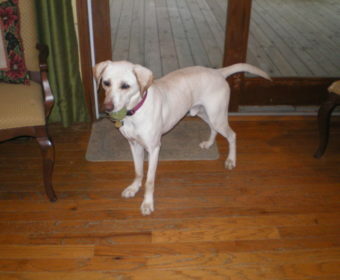 He is a very energetic 1 – 1.5 yr old yellow Lab mix. His name is very appropriate as he is a jumper and a Houdini escape artist. He will require a 5-6 ft. secure fence (if he can get his nose through an opening, he will get the rest of his body through!). Roo is quite a character with lots of personality! He is house trained and crate trained – you definitely want to crate this boy when left alone. Roo loves to play with toys and other dogs. He is very curious and loves to investigate new places – especially if a car ride is involved in getting there. 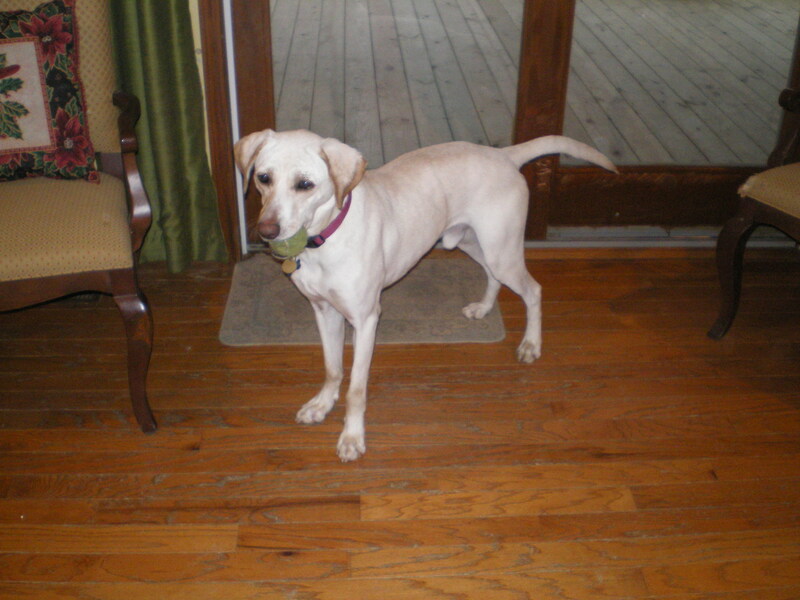 Roo is fostered in Indianapolis, IN.